Ryan Equipment also manufactures and distributes a variety of specialty products including buckets and ripper shanks. 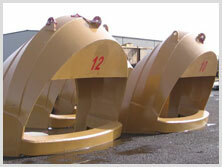 Sauerman style buckets: 6 to 12 cubic yard capacity. 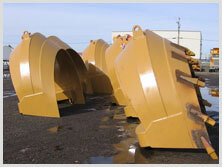 Large excavator buckets built to OEM specs. Komatsu style shanks to fit D65 through to D475. We carry a good selection of used rippers. Stock is continually changing. Please call for availability. 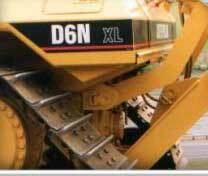 We have a good selection of used snow wings to fit a variety of different models of graders. Please call for availability.